Is your church leveraging chatbots to reach people? Are you leveraging a social media listening tool to understand the sentiment towards your church? What’s your Instagram story strategy to engage people in your community? Is your church ready for augmented reality and the impact that will have people attending your services? 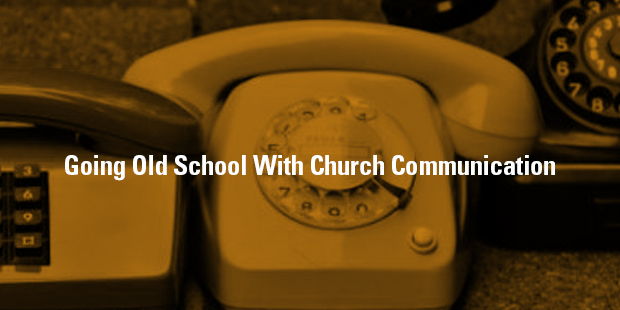 Too many church leaders are running too quickly to optimize the latest communication tools to reach people in their community while they are ignoring “low hanging” fruit with “old school” technologies with proven abilities to do the same. Before your church figures out the latest tool or trend, you need to make sure that you are leveraging existing channels. In January, Facebook announced its latest changes to the news feed which means organizations like ours are going to see even less “organic” reach on that channel. In fact, many brands are reporting a 50% drop in traffic from the social media behemoth in just a matter of weeks. [ref] This underlines that no church communications strategy can be single source dependent but needs to employ a wide variety of channels to reach your people and your community. Shiny Object Syndrome // Too many of us are drawn towards the “latest” thing because it’s the latest thing. We hear some tech blogger talk about the latest whiz-bang service and we’re convinced that will solve our communication issues. The act of jumping from one shiny object to the next means that we don’t take time to dig deep and optimize any given channel. FREE is in our Budget // Most of us are trying to figure out how to reach more people with little or no financial investment. Lots of digital marketing solutions start out using “free” as a marketing tactic to get businesses using their platforms, and we’re drawn to that pricing! Over time, these platforms end up charging for what they were giving away, which means, we need to move on. We’re Aware Consumers // Lots of church leaders I know are actively engaged in the world around us. We spend time not just floating through life but are curious individuals. This is a great way to be! We see other organizations and businesses communicating with their communities and wonder what would happen if we applied those lessons to what we do in our church. In the end, we can be left bolting on one new strategy after another and ignoring legacy approaches that are still highly effective. The industry’s average open rates for email for churches is 25.62%, and average rate that people will click on links in those emails is almost 8%. In fact, in a recent study it was found that as an industry, religious organizations have the highest open rates among dozens of tested industries. [ref] In a world where less than 1 in 100 people will see a post on Facebook that your church publishes, the fact that 1 in 4 people will open an email you send them starts to seem like a great opportunity! Most of us have a love/hate relationship with email. In fact, if we’re honest most days we hate email. However, don’t allow your stress around managing your inbox drive assumptions about how your people think about receiving emails from your church. Well-crafted emails need to be at the core of your communications strategy. 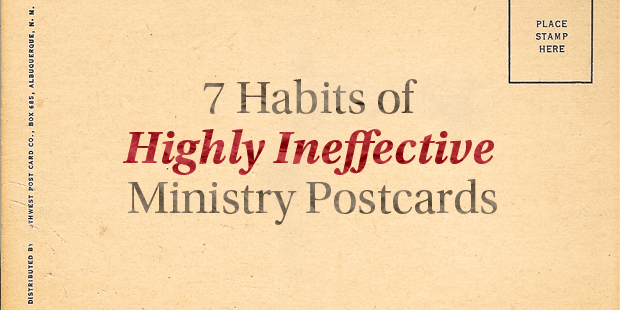 Regardless of how many emails your church sends on a regular basis, you need to increase the frequency. Email isn’t going anywhere and continues to be the go-to channel for driving engagement with people. “New Here” Guest Welcome // When guests arrive at your church, you need to acknowledge that and send a quick email to them. Ideally, this email is received within hours of them visiting your church. Saturday Emails Before Series Launch // In my book, Church Growth Flywheel, we talked about using email in some ways to grow your church. One important way is through sending an email to your people the day before you launch every new series. Donor Acknowledgements // When people give to your church they are doing an incredibly special thing. Ensure the emails you send to them not only thanks them for giving to the mission of the church but also point towards how their giving is fueling the mission of the church. Volunteer Reminders // Send your people a reminder about the fact that they are serving with your team. Use this email to reinforce the vision of why they are serving and give them vital information so they know what to expect. Sunday Recap Emails // Not everyone attends your church every weekend so why not tell them what they missed. Give them insights about what the message was about. Tell them what the big “call to action” announcement was. 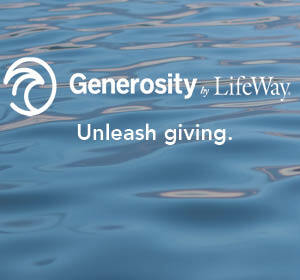 Year-End Giving Email // 10% of all charitable giving is done in the last 48 hours of the year. You need to leverage that opportunity through a well-crafted email asking people to give to the mission of the church. Read more about this here. Pay Attention to the “Sender” // Experiment with who the emails are sent from to see what increases open rates. People are more likely to open emails from the Lead Pastor than a generic inbox. Write to Real People // Don’t overdo the graphics and fancy stuff. Lots of studies show that the best responding emails are underwritten as if they are going out to just individual people. Ask Questions in Subject Line // As a rule of thumb, when you use a question as the subject of an email it will see higher open rates. Humans can’t help but click on that to see the answer. Email is a Mobile Tool // Remember that most of the people who open your emails will do so on a phone or other mobile device. Keep your email short and to the point! What’s the open rate on a postcard mailed to someone’s house? Junk Mail – stuff they don’t want. Bills – bad news they wish didn’t exist. When you send any form of direct mail to your people, it’s received as an oasis amid that desert. 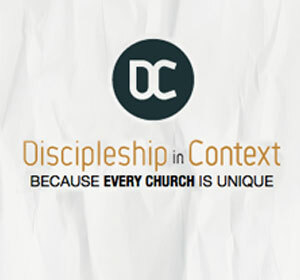 Your direct mail gets their attention and can drive deep engagement with your church. Often the mail that you send to people’s homes has long lasting staying power as people will put it up on the fridge or the coffee table. Series Invite Cards // Instead of just handing out invites to the next series coming at your church you could mail two copies to all your people and ask them to invite two friends. Volunteer Thank You Cards // Everyone loves a handwritten note. It brings a smile to people’s face when we take a minute to write out a few kind words to people who serve in our ministry. First Time Donor Gift // A tool something like “What Happens When You Give” is a perfect way to acknowledge people who choose to fuel the mission at your church. Recall Letter // If someone comes as a “first-time guest” at your church but you don’t see any evidence that they’ve been back in the last two months … send them a letter with a coffee shop gift card and ask them to join you again! Annual Report // Taking time to celebrate what is happening through an annual vision report is a perfect thing to mail out to your community. A well-crafted vision report reinforces that people are making the right decision being a part of your community. Like most forms of communication, direct mail needs to be regular and high quality. You won’t see an immediate response from one single print piece that you send to people’s home. However, over time as you submit pieces to people’s homes, you’ll notice that your people will respond to what you’re sending their way. Perhaps one of the greatest ironic twists of technology’s fate is that as the “phone” became ubiquitous and went from being used for calling the homes that people live in, to calling people directly, we call people a lot less than we used to. In fact, lots of people seem to be allergic to talking on the phones that they carry around in their pockets all the time. The availability of this technology is a tremendous opportunity for churches. … like really calling people. Your church could organize a small team to ask people who they are inviting to the upcoming “big day.” A few years ago, we assembled a team to call 2,500 people connected to our church to ask them to come to our Easter services, and in the end, it was part of us setting an attendance record that year. [ref] With a little organization and motivation your team can make hundreds of connections at scale and see people more plugged in with what God is doing at your church! … or at least texting people. The “open rates” on texting are nearly 100% because people are reflexively answering those little notifications that happen when someone texts them. A well-timed text can be received by your community as a small gift on their phone. Texting is also a perfect tool to drive “call to actions” like registrations because you know it’s being received on a phone that can open online forms and registration systems. Experience shows that about 1% of your audience will be annoyed by this personal approach to communication. Be ready for a tiny group of people that will think you’ve stepped over some line and are invading their privacy. You have just reached into their pocket or purse and asked them to pay attention for a moment, so it’s somewhat understandable. Don’t be put off by this group though … the clear majority of people you reach out to will be thankful that you reached out to them! Why don’t more churches blog? This one baffles me. Why doesn’t your church have a blog where you’re communicating with your people and your community regularly? This free communication channel continues to provide considerable benefits to churches who invest the time to make content and share it on a regular basis. Google Sees You // We all know that if people can’t find you when they search online, you practically don’t exist. Regularly and thoughtful blogging makes your church more “search engine friendly” and ultimately makes it easy for guests to connect with you. Content for Social // Rather than another graphic square that tells people your service times for this weekend, your blog content is a fantastic fuel to feed your social media channels. Make Your People “Famous” // People love seeing their names in print, posts like “volunteer of the week” and “small group profiles” are great ways to celebrate people in your church. Test Content // Blogging is a fantastic channel to work on ideas that you are going deal with in other venues in your church. This could be through passive channels of merely sharing ideas that you’re thinking about or effective methods like polling & surveys. Extend Learning // Prevailing churches are looking for ways to extend the learning beyond just the weekend and into rest of their people’s lives. Blogging gives the church an opportunity to take what you’re talking about on Sunday and push those lessons into the rest of the week. NewSpring is probably the most beautiful example of church blogging around. They provide helpful articles on a wide variety of topics and are committed to creating regular compelling content. In Church Growth Flywheel, we pulled their strategy apart and looked at how you can apply lessons to your church. Maybe it’s time to go old school? When it’s all said and done it’s about being effective. Rather than jumping just to the latest trend, you should be looking for what is an effective approach to ensuring that the right message is getting to the right people at the right time at your church. As we’ve shown above, oftentimes the solution is right under our nose and we just need to apply it. I’d love to hear from you about what you’ve done that seems kind of “old school” but has worked well in your community! > Read more from Rich. Learn more about the effectiveness of “old school” communication – connect with an Auxano Navigator today! Last week, I opened our mailbox to find one of the worst church direct mail postcards that I have ever sent or received. First, you need to know that I have been a part of sending some real doozies, like an “F-Word” (forgiveness) pun on an Easter invite one year… not my idea, but I was definitely a willing participant. On some level, at least there was a point – horrible and offensive as it was. My recent mailbox find is a direct mail piece following all of the current church-mailer trends, in that it is oversized, has a picture of the pastor and includes a group of smiling multicultural people. However, the messaging is a wreck, confusing and downright crazy-talk. This mailer was either designed by 4 different people who never bothered to coordinate their contribution, or one person with 4 different design personalities that stopped taking their meds. What’s worse is that it is from a large and influential church in the area, who would I assume possesses the means to do so much better. When it comes to direct mail, statistics show the average piece will get three seconds of attention. 1. Don’t Have a Point – Ramble and demonstrate how out of touch with the reality of everyday life outside of your church walls you really are. Use meaningless quotes and vaguely imply that something is happening that they should be aware of. 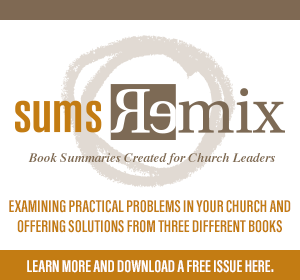 Lots of people are not busy and looking to spend time trying to figure out your church, so they will naturally be drawn to the possibility of a confusing and rambling worship experience. 2. Use the Shotgun Approach – Communicate as much as you can to as wide an audience as you can. If you are launching a series on the Family, make sure you speak to and include content for everyone. Relegate your children’s ministry presence to a tiny corner and use the words “great” and “fun” a bunch. Singles and couples without kids have no need to know how to be a better parent, and for sure an older, empty nest generation doesn’t want to have influence and share their wisdom, so try your best to have something for everyone and to not alienate anyone. 3. Employ the “Bait and Switch” – Make sure your stock photography is purely aspirational. You will want anyone visiting to feel immediately uncomfortable and be easily recognizable. When they walk in the door, it is best if they become racial diversity that you pictured, or the casually dressed worshipper that they saw on your mailer. Because if you truly want your culture to change, it is always easier to blame it on the new people showing up than to lead and cast vision in the congregation. Also, when guests are easier to spot, that awkwardly over-friendly greeter won’t bother your regulars. 4. Use Insider Language – People outside the church loved to be validated in their “we don’t belong here” thinking. Use as many obscure or made-up words as you can to either illustrate how much smarter your church is or how quirky and cool your church is. The best is to combine two words that might mean something like “God calendar” or “faith-energy.” Typically, we are drawn to the unfamiliar and weird as humans, especially if we have a significant social or spiritual need. 5. Try Too Hard – Everybody loves to see a worn-out cultural phenomenon imitated by the church, especially if it is a few years behind the original. That means your Duck Dynasty teaching series this Fall is right on time! Anything #hashtag, selfie or instagram driven might just now be cresting in Christian culture, and presumably aging like fine wine in your community. No matter what, it is always best to act as cool, awesome and relevant as possible. So if you’re stuck, plan to go to the next hip Christian conference this year to see what you are missing. 6. Talk at the Community – Much like insider language, people really want to feel alienated and even bullied into a saving knowledge of Jesus. It is always best to assume that they don’t know anything, and you know everything. It is a good practice to check the Tea Party or Blaze posts on your Facebook feed to see how a good, pointedly pushy headline should read. Everyone will be SUPER excited to hear what the topic of your next message series is going to be, once they figure out what “message series” might actually mean. 7. Don’t Include a Map – If they want it bad enough, they can find you. Plus everyone in the community must know who you are, especially if you are consistent with “dusty Bibles lead to dirty hearts” pun-ny evangelistic techniques on the church sign. 1. Invest beyond Printing and Postage. Time spent in defining the audience and design excellence is as valuable to the staying power of your direct mail piece as the printing and postage is to the arriving power. Don’t pander for lowest common denominator buzz, like “F-word” shock attention, but create a central message that has meaning to the actual person you are trying to reach. Thensupport that message with great design and a coherent brandconnected to your actual personality and presence as a church. 2. Keep it Clean and Clear. In the design-investment phase of your next direct mail piece, answer 4 questions of clarity: who, what, when and why. Who are we targeting with this mailer and what matters most to that group? What are we asking or inviting them to do, and does it make sense in the real world? When do we want them to do it, and have we moved beyond just broadcasting general awareness and hopeful information with a time sensitive approach? Why should it matter to them, or why should they care about what we are saying or offering? If your next idea for a mailer cannot easily reflect this level of simplicity, and OBVIOUSLY answer these questions, go back to the drawing board or use your advertising dollars in a more effective way. 3. Define the Next Step. Nine out of ten first time guests will visit your church’s website before they set foot on your church’s property. Even more important than a map or list of service times, then, is a clear and compelling invitation to experience your online presence. Adding value to this invitation through current, community-directed content, a fresh welcome video or advertised event registration increases the likelihood that a recipient would do more than give your mailer a glance on the way to the wastebasket. Also, remember to check the age of your web content before the direct mail piece is sent. Nothing is worse the rotating Christmas Eve banners being seen in mid-January. >> Read more from Bryan.